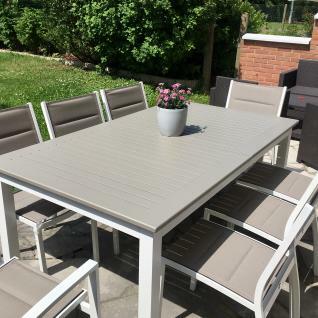 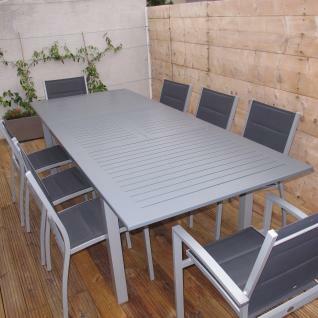 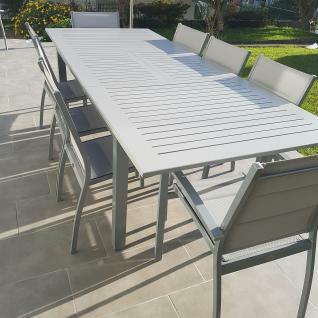 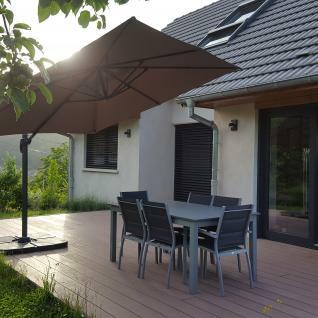 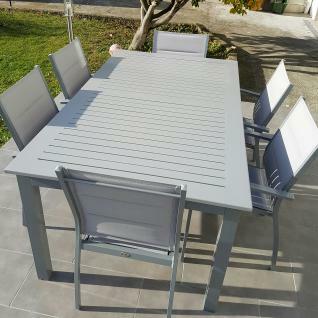 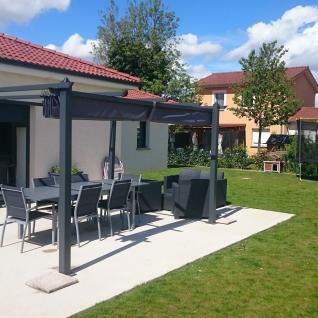 The aluminium frame is coated in epoxy paint to give it an attractive uniform colour.Chairs are stackable for when not in use, with easy maintenance and strong weather-resistant fabric.Constructed out of strong weather resitant materials, the tetilene chairs are also r esilient to the elements . 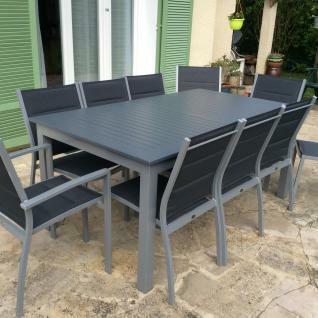 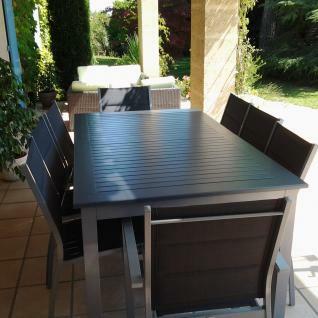 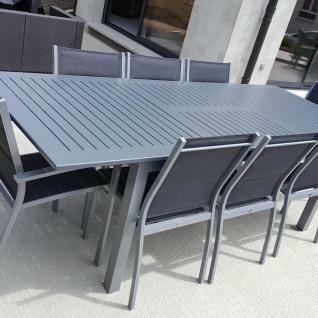 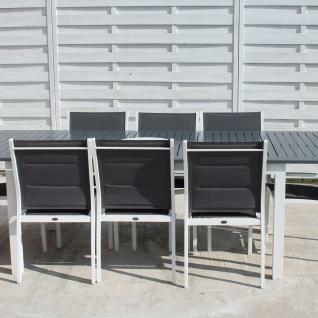 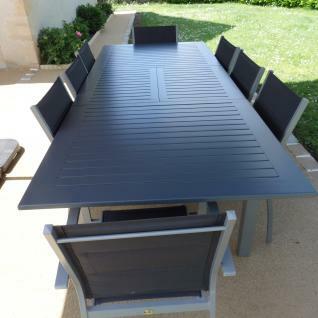 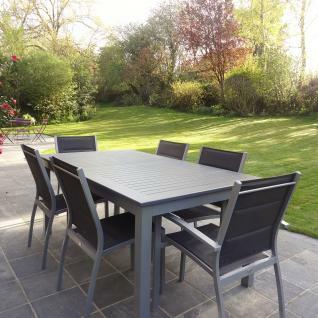 9 Pieces;1 aluminium seats with textilene padding -6 chairs-2 armchairs. 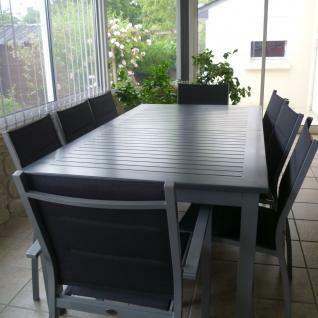 Possible configuration with integrated extension -8 chair, 2 armchairs.